Now in our final year after two successful years, YouthLeads provides opportunities for young people from three north London boroughs – Enfield, Haringey and Waltham Forest – to develop their leadership qualities and the life skills they tell us they need the most. Many young people in these boroughs face barriers to becoming successful adults – changing demographics, localised poverty and criminal activity, and cuts to statutory youth services resulting in them having nothing to do. YouthLeads will make a difference for these communities by creating positive activities for local young people and developing their skills. 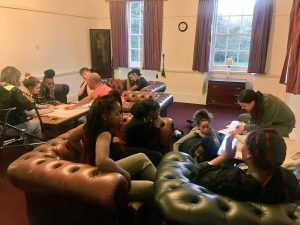 Over three years, we’ve worked with 240 young people in 12 member youth organisations across Haringey, Enfield and Waltham Forest, supporting them to develop and deliver structured activities, gain practical experience of leadership, take part in residential weekends and grow their confidence, networks and communication skills. If you have any questions about this programme, please contact Terry Boyce, Head of Youth Action – terry.boyce@londonyouth.org. 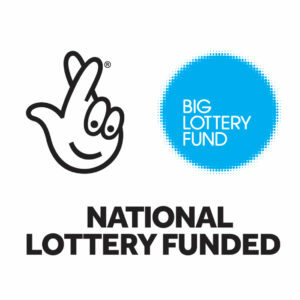 We are very grateful to the Big Lottery’s Reaching Communities fund for funding YouthLeads. Each year, four London Youth members each engage a group of 5 young people aged 14-18 with leadership potential. We take these 20 future leaders and their youth workers on a residential weekend, away from their normal environment, to start thinking about their community and how they can have a positive impact on it. London Youth and youth workers then support the young people to plan a social action project to create a positive change in their community. The projects have to engage a wider group of at least 15 their peers to develop life skills, and we’ll encourage the young people to partner with another community organisation. We then bring all four teams together to a local venue to pitch their project idea to a community panel and receive funding of up to £700. We’ll then support each team to deliver their projects, focusing on community impact, developing leadership skills and becoming role models for their peers. YouthLeads ends with a final residential 20 young leaders reviewing their learning, celebrating their achievements and completing an accredited youth leadership course. I’m a London Youth member – how can I get involved?